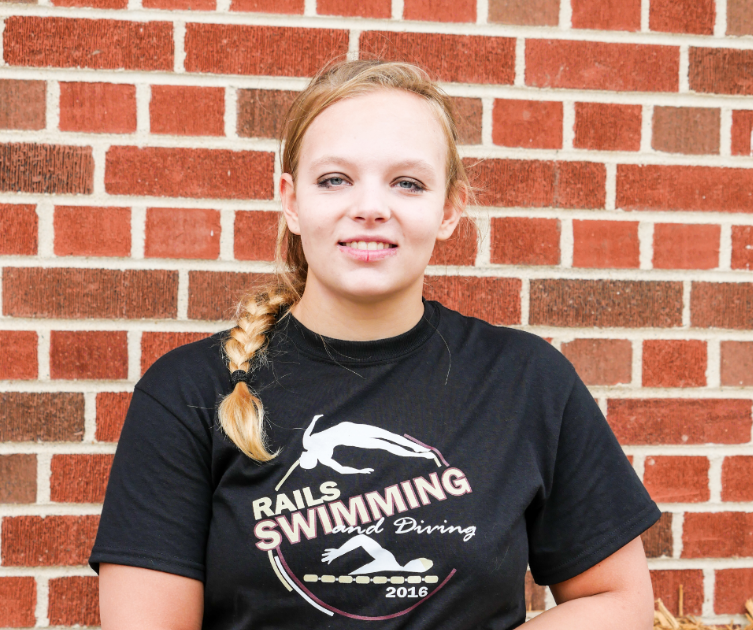 Jessica Warrell has been on the swim team for all four years of high school. Through all the morning, afternoon and Saturday practices, she’s worked hard to make herself better. Last season, she was awarded the Most Improved Award for the junior varsity squad. Read more about Jessica below. Message For the Team: If you love swimming, don’t give up now matter how hard it gets. Coach’s Comments: “Jessica is the definition of perseverance. Even though our practices are tough, she has stuck with it for four years because she loves the sport and seeing her times improve. She is certainly proof that working hard in practice will lead to being faster in meets and dropping time after taper. It’s why she was awarded on of the Most Improved awards last year. She practiced all summer to prepare for her final season on the team and we’re all excited to see the strides she makes this year.